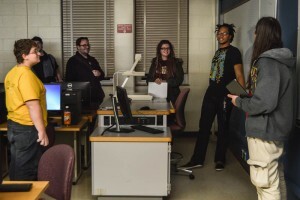 Video Gaming: Not Just a Hobby, but a Passion | Grand Central Magazine | Your Campus. Your Story. With all the commotion that’s been rising lately in the video game community over Fallout 4, it’s hard to not draw parallels between now and when gamers were going wild over Bethesda’s last juggernaut, Skyrim. Molly Rossman, a junior at Central Michigan University, was one of many inspired by the arrival of the Fallout 4 game. However, Rossman decided to do more than just admire the beauty of the game, she wanted to make her own. Rossman is the president of the Game Development and Design Club at CMU. The group specializes in teaching anyone who is interested in various gaming programs about game development and design. They also, on occasion, discuss other mediums like tabletop and card games. 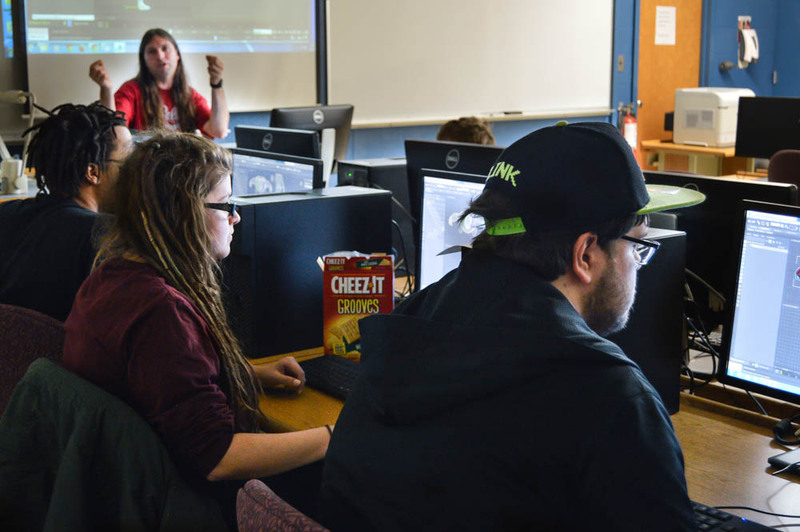 Not only is Rossman president of the club, but she also works for the university and professor Tony Morelli, designing games that are more accessible for disabled students. In the future, she hopes to design her own video games and work for the big studios. “Similar to how actors want to make it out to Hollywood, game designers dream to make it to places like Blizzard and Bethesda,” Rossman said. 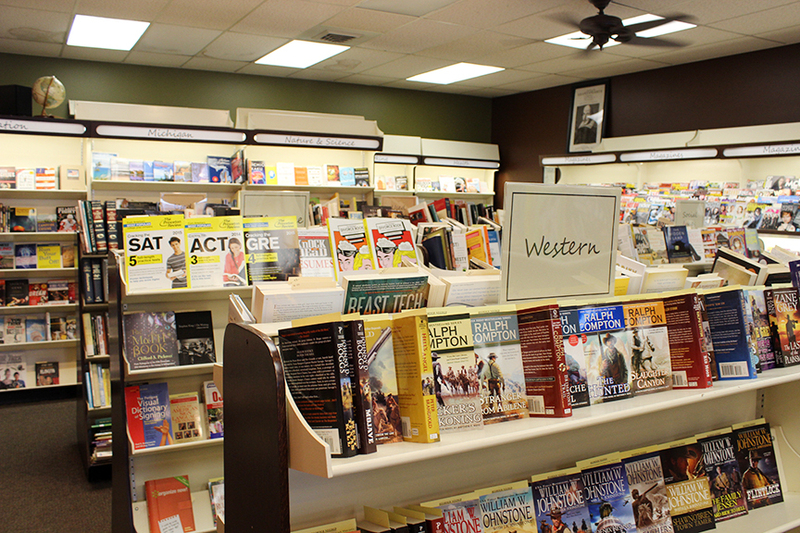 As the president of the club, Rossman organizes meetings and other events that are held throughout the semester. A few weekends ago, the club held a 24-hour gaming marathon, which teamed up with the organization ExtraLife. The group streamed video games on Twitch.tv, and all proceeds were donated to children’s hospitals in Michigan. They also had a “MidTerm Tournament” event, which featured a variety of games including League of Legends and Pokemon. The club has been an RSO at CMU for a little over a year now. In Rossman’s freshman year, they came up with the idea of the club and had a year to test it out. She was one of three founding members of the club, along with professor Morelli, who backed up the club members to become an RSO. Today the club consists of 10 individuals, of which Rossman is the only woman. 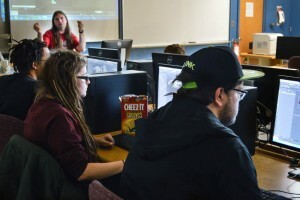 The most common used programs by the club are SketchUp and Unity, but they are currently learning and implementing 3DS Max and Maya, so they can then teach the programs to the masses during their meetings. Rossman agrees that being president of a college level club has its low points. Recently, she has been struggling to try and get the group out to the Game Developers Conference, due to money and organization. But nonetheless, she still has a passion for the club. However, the club has already produced its own success stories. One of the co-founders now lives off in San Francisco, writing about video games. Another member, a current student of Morelli’s, took a game made in CPS 482 and put it on the app store called Crossy Road. After three years, the club is thriving. According to Rossman, from week to week the club usually brings in around 15 to 20 individuals eager to learn development and design from club members. The club meets every Wednesday evening at 6 p.m., typically in Pearce Hall 400. Separator image Posted in Arts & Entertainment and tagged with Arts & Entertainment, Chelsea Grobelny, Development & Design Club, video game.